Research reveals a huge number of UK IT executives have no idea what GDPR is or when it is coming. More than four fifths (84 per cent) of small business owners in the UK, and almost half (43 per cent) of senior executives in large companies have no idea what GDPR is and that it’s coming. That's according to Shred-it’s Security Tracker research, which also found that roughly one in seven (14 per cent) of small business owners, and 31 per cent of senior executives know what the fines of not complying with the GDPR are. This is despite the fact that 95 of senior executives and 87 per cent of small business owners claim to have some understanding of their industry’s legal requirements. Four in ten have started preparing for the GDPR, even though 60 per cent said the change in legislation would put pressure on their company. Also, the report says companies feel the UK government should take more action. "As we approach May 2018, it's crucial that organisations of all sizes begin to take a proactive approach in preparing for the incoming GDPR,” said Robert Guice, Senior Vice President Shred-it EMEAA. 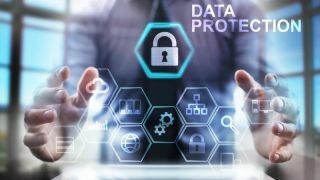 "Governmental bodies such as the Information Commissioner's Office (ICO), must take a leading role in supporting businesses to get GDPR ready, by helping them to understand the preparation needed and the urgency in acting now." "The closer Government, information security experts and UK businesses work together, the better equipped organisations will find themselves come May 2018."